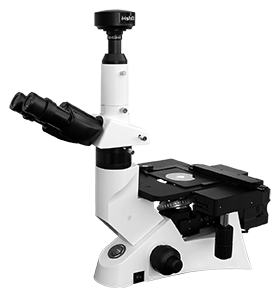 The IM-5000 inverted metallurgical microscope (Part No. 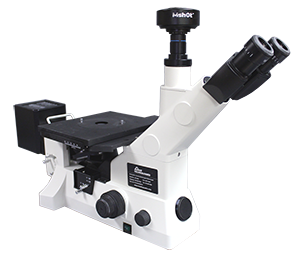 IM-5000) features bright-field, dark field, polarized light and differential interference contrast (DIC) illumination, binocular eyepiece tubes and two digital camera ports. 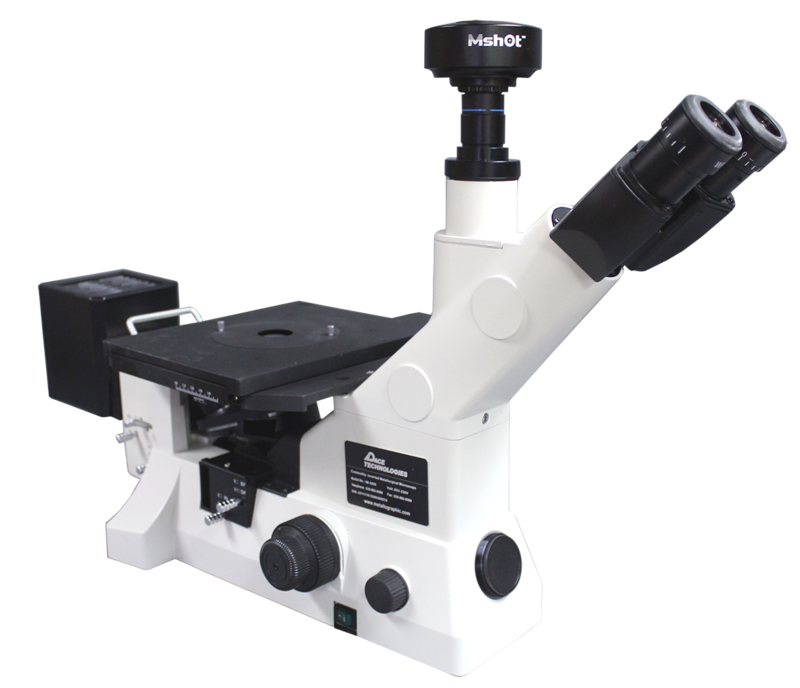 The IM-5000 inverted microscope is an excellent choice for a multipurpose economical metallurgical microscope. 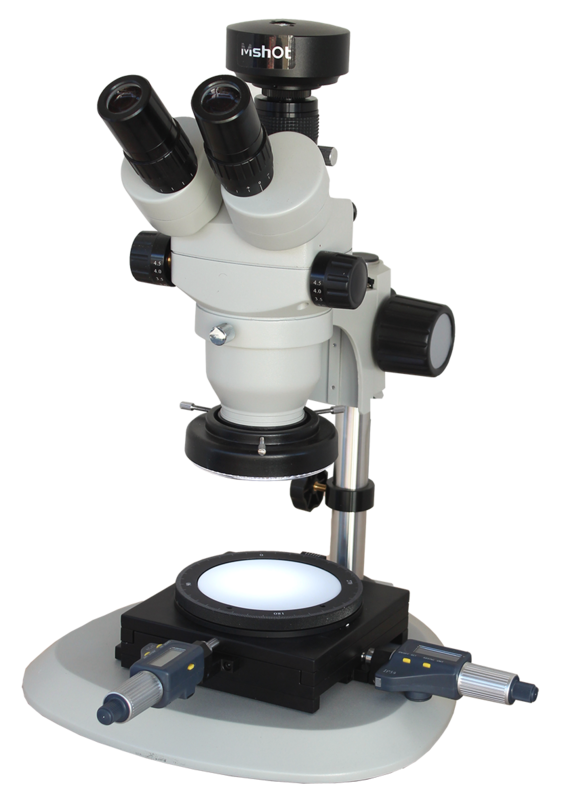 The ZMS0745T trinocular stereo microscope (Part No. 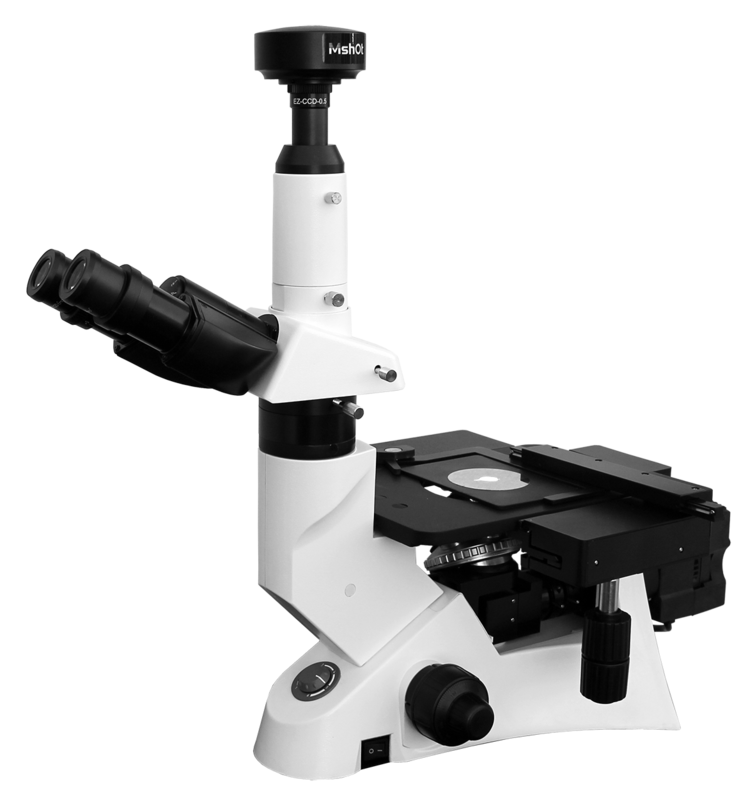 ZMS0745T) has an optical design for enhancing reproduction and true color imaging of the specimen. 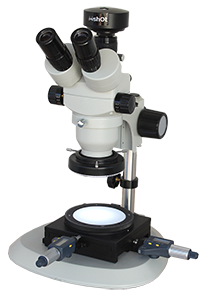 The ZMS0745T stereo microscope has a magnification range of 7X to approximately 45X and is ideal for low magnification documentation of the metallographic specimens prior to polishing and grinding. 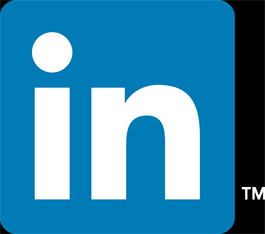 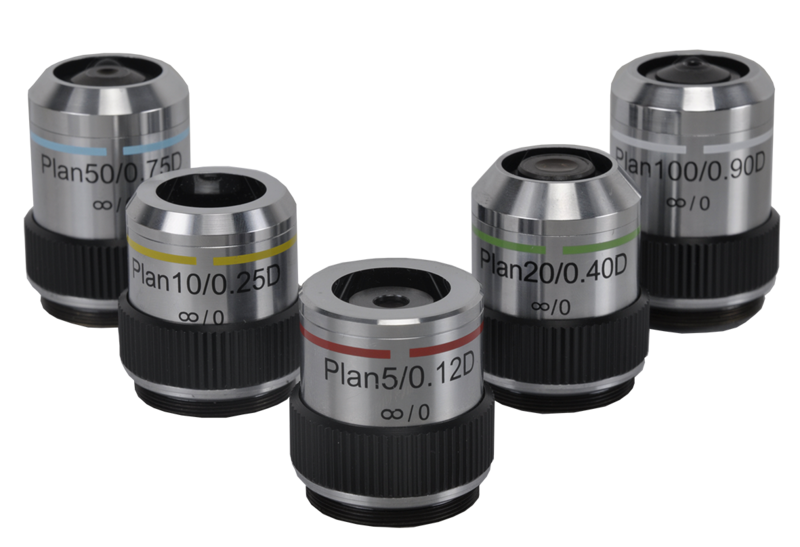 It is also useful for measuring cracks, weld penetration depth and other topographical features. 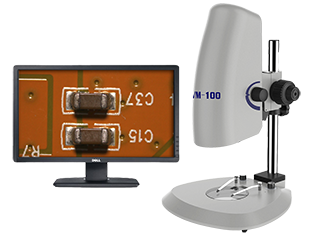 The VM-100 digital stereo microscope (Part No. 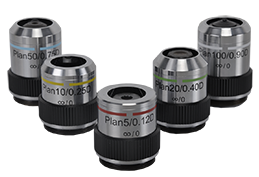 VM-100) has 0.7X ~ 4.5X electronic magnification with a zoom ratio of 6.5:1. 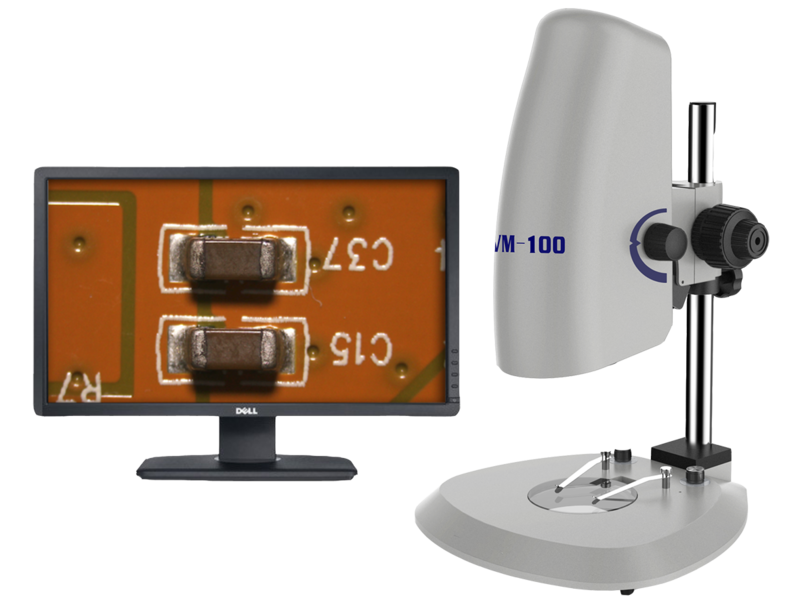 With a built-in SD memory card, high resolution photo and video recordings are easy to obtain (includes 22-inch Full HD Widescreen LCD monitor or better - call for current screen specifications).